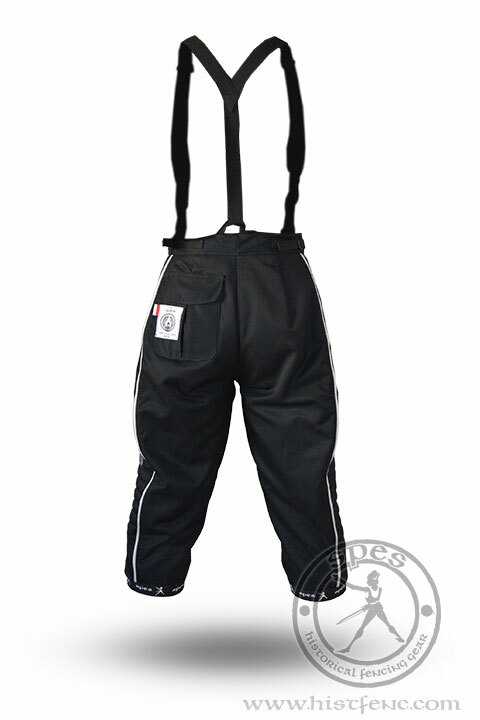 For the most demanding ones, we created “Hussar” Fencing Pants 800N which protect well from the hits. They are made of high tear proof resistant fabric. 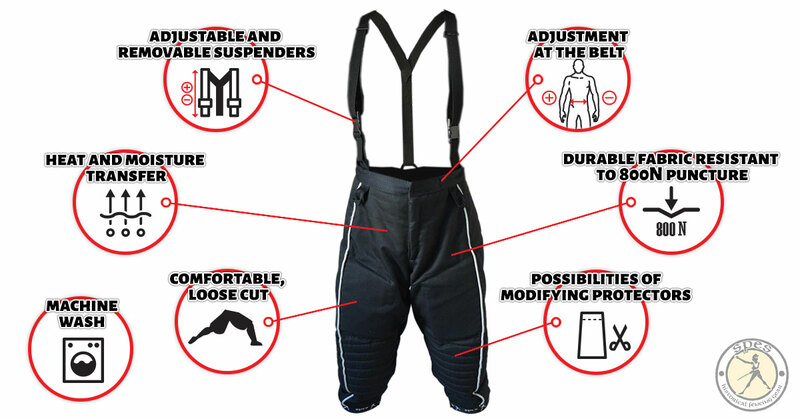 The pants are made of fabrics which have 800N puncture resistance certificate. Thanks to the use of modern materials and innovative solutions they assure a high level of leg protection during training. An innovative filling system with high shock-absorption features and breathable lining with anti-bacterial aperture ensures heat and moisture transfer and high comfort of use and maintenance (washing and drying). 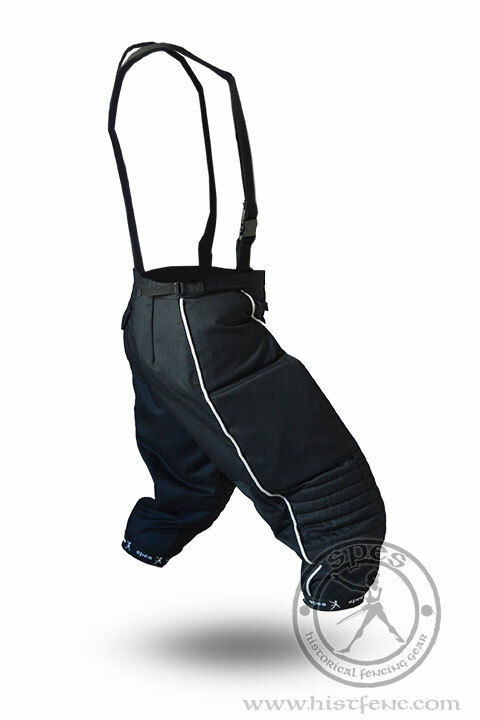 “Hussar” Fencing Pants 800N have reinforcements (foam on hips, modern filling system and quilting on knees), which ensure very good protection from hits. A loose cut of the pants guarantees freedom of movement. Possibility of removing foam and attaching plastic knee protectors allows to adjust the level of protection to training intensity. 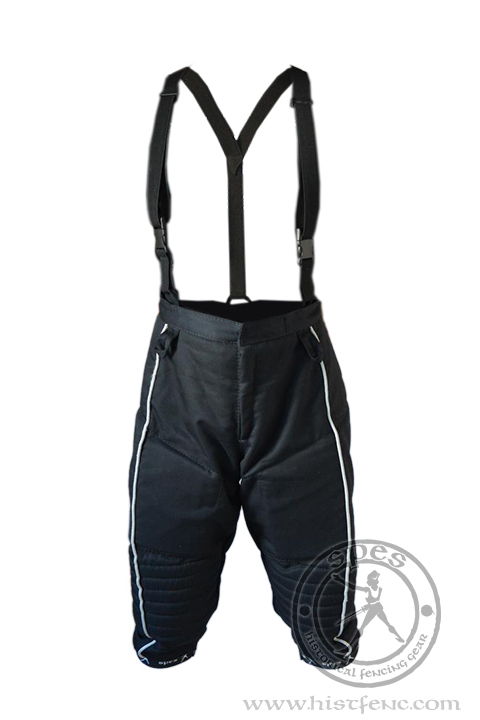 The pants can be perfectly fitted thanks to suspenders adjustment as well as waist girth adjustment. 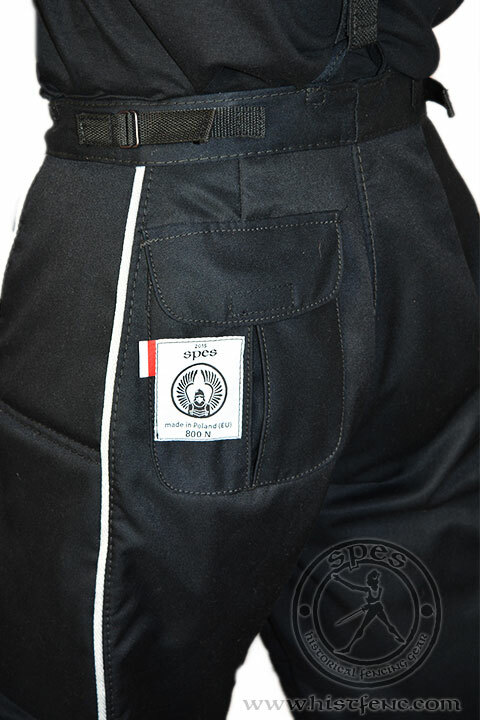 Finished with grey binding on the edges gives these pants a distinctive, aesthetic look making it an ideal pair with “Hussar” Fencing Jacket 800N, considering the looks as well as level of protection.